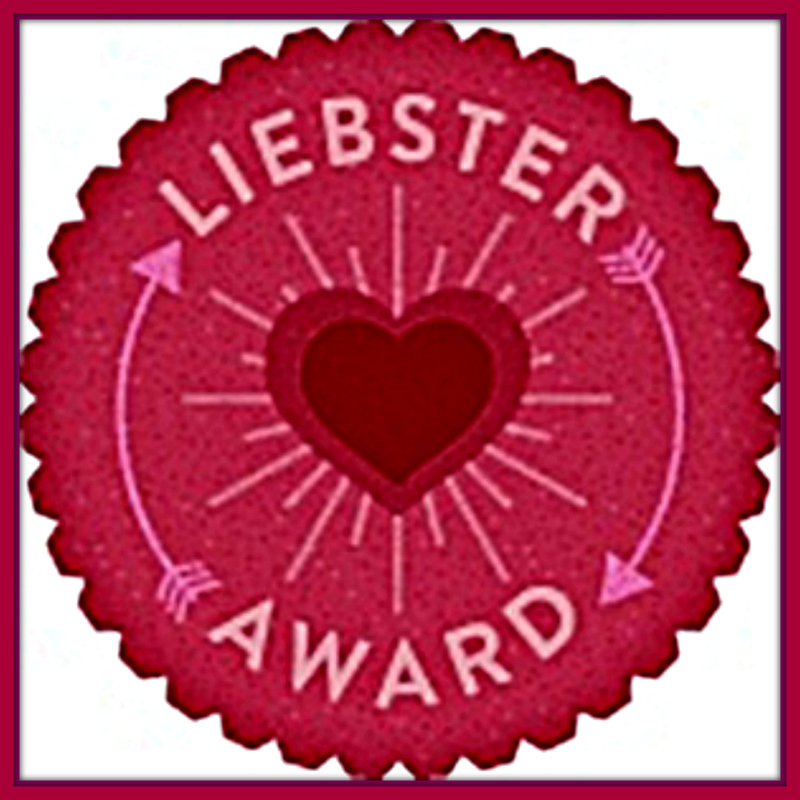 Liebster Award time!! Woot woot! 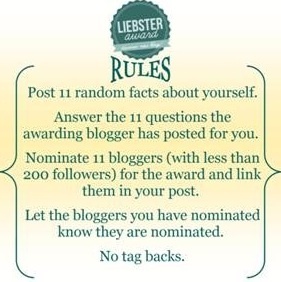 Here are 11 things about me that you don’t know. I have classic arachnophobia (spider, ticks and mites). It’s so bad that I was once taken to the hospital because I walked by a bunch of hatching baby spiders and they got on my legs. I broke out in hives and had such a massive panic attack my friends thought I had been bitten and was going into anaphylactic shock. Now I have Xanax on hand, just in case. I have lived in a tent for more than 2 years of my life. Most of that time I was doing field work in either Bolivia, Argentina or the Himalayas. I was married once before. I am the tallest women in my family by more than 5 inches. I am allergic to peppermint and latex, but I have no reaction to mosquito bites or poison ivy. I did theatre in high school, and was offered full theatre scholarships to every college I applied to. I love my dog more than anything in the entire world, but consider myself to be a cat person. When I was a little girl I told my mom I died in a car crash. I have no idea how to blow dry my hair, and I only own a blow-dryer because we needed to thaw out pipes when I lived in Ohio. I am an excellent cook, and have a cooking blog. I have had the same recurring nightmare since I was about 5 years old. I’m standing on the beach and there’s a storm coming. The waves are getting bigger and I turn to run away but there is a huge sand cliff. I try to climb the cliff but it falls down, pushing me closer to the water. 5. If you were on an airplane that was about to crash into the ground, what do you think your last thoughts would be? – about my family, hoping they know how much I love them. 6. Describe something imaginative and perhaps unusual you used to do as a child. – I would tame the wild forest cats on our farm. Also, my cousin and I would draw pictures of the grocery store and have “art shows” where we made our mother buy them. 7. Describe your absolute perfect job (what the office looks like, what you do, what your hours are, etc). – It would be some traditional teaching and advising of students, some research and some outreach and media relations. My office would have floor to ceiling bookcases on 2 walls and a large picture frame window with a window seat on the far wall. Lots of light, comfie chairs, lots of plants. 11. What is your idea of a perfect day? – Hard to say. Some days it would be reading a book in bed with the rain falling outside, other days it would be hiking in the Andes, some days it would be relaxing on the beach. If you were stranded on a desert island and could only take 1 book, 1 movie and 1 kind of food what would they be? If you were a tree what tree would you be and why? If your house was burning down (and you were alone) what would you carry out with you? Where do you want to settle down? You’ve done some really cool stuff! I love your answers! This is fun.